Guest posting, ever since the birth of blogging and the growth of online content, has been one of the most effective and important ways in which bloggers have seen themselves able to gain further exposure and grow their own audience. For new bloggers perhaps, the thought of creating content away from you blog might be quite overwhelming and seemingly pointless, but, as the success stories prove, it’s still a worthy investment of your time. Still not convinced? Here are three more reasons you definitely want to be doing this. Don’t just think of guest posting as a heady task by which you must produce a new article for the benefit of someone else’s blog, think of it as a value-adding procedure. By putting together great new content for a blog that isn’t your own, undoubtedly you’ll come into contact with other blog owners or content managers and be able to build relationships with them. As you learn about what these bloggers want for their own audiences and what you can do to help them, you’ll learn more about the blogging process itself, solidifying your reputation along the way. Producing and delivering what these people want is also a great way to build relationships with them that can serve you later in your goals or objectives. Perhaps this will help give you leverage in asking them to help share something new, or perhaps even help plug a new product or service you happen to start offering. Although Matt Cutts came out at the start of last year downplaying the effectiveness of guest posts in the algorithms of Google, his advice was more targeted towards poorly written and horribly produced posts rather than information-abundant and thoughtful ones. Guest posts, even now, are still a fantastic way to improve your own site’s visibility in search, especially if you can get your content featured on super authoritative sites that hold a lot of sway with wide audiences. The link economy is still the foundation of search, it’s just that the engines have wised up in regards to recognising what constitutes quality information and what constitutes spam. If you can get a long-form article that does great socially on Twitter and Facebook and links back to your blog from another, then you’re in a great position to rank better for your own site overall. It might be surprising to you but not everybody in the world knows about your blog. Given the amount of content out there, and even the sheer number of blogs that focus in on the same niche, it can be hard to get seen if you’re never expanding your offering outside of that of just your own blog. Putting together a guest post then, perhaps one that highlights the best of your expertise or knowledge on a particular subject, is a great way to introduce new people to what you do and what you know about. When people see just how authoritative you can write on someone else’s blog, chances are they’ll hop on over to your own to see what more you have to say on the issue, perhaps even becoming eventual long-term readers themselves. 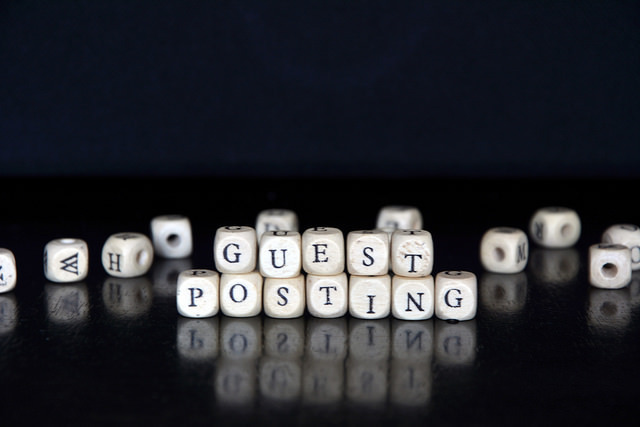 Related to "Why You Should Guest Post: 3 Key Reasons You Should Be Doing It"